Saturday, I took advantage of the crisp, sunny weather to go for a long leisurely bicycle ride around town. The neighborhoods in this city are old and dense, and if I cycle slowly and circle back and look again, I always find details and secret streets that I have never noticed before. I planned to be out for about four hours, so I wanted a hearty breakfast to keep me until I got back home. 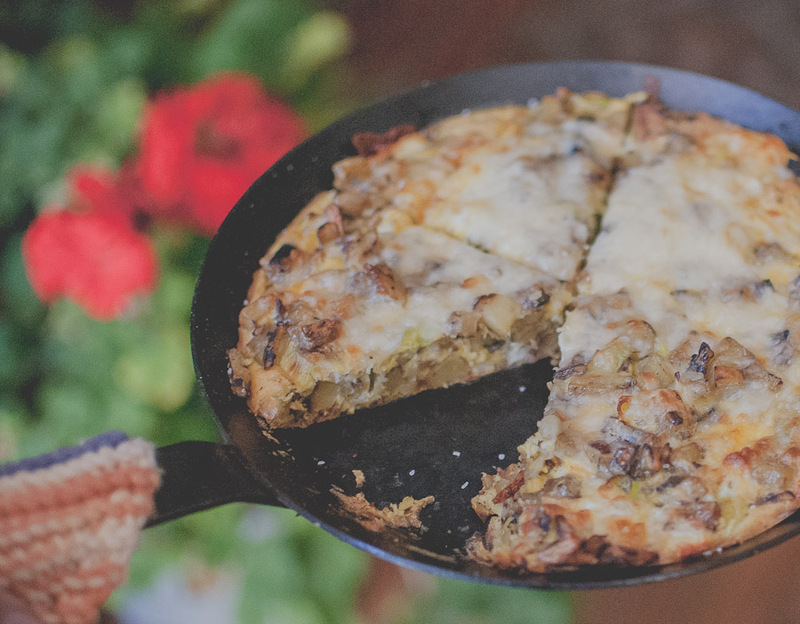 A potato frittata fit the bill perfectly. I generally followed this recipe, substituting chopped leeks for the onions, and only using three small potatoes instead of two large ones. 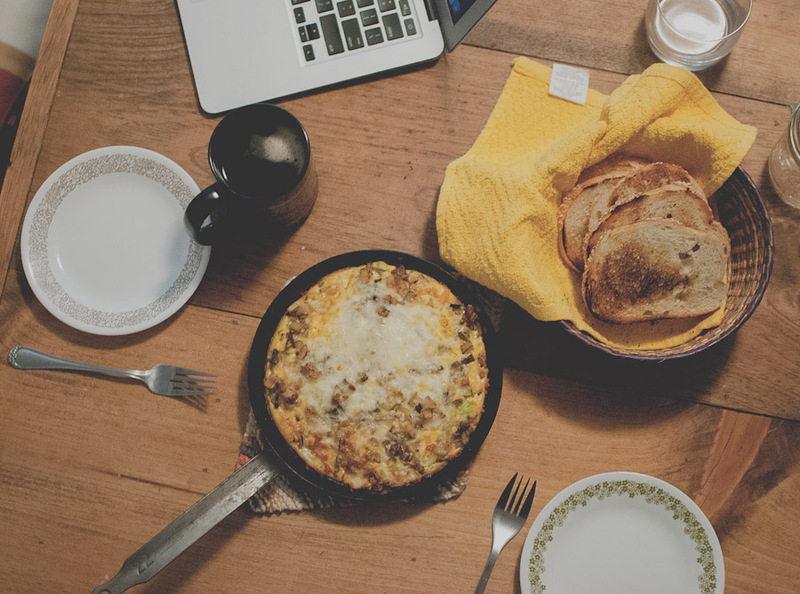 With a little toast and tea, this was the perfect little pre-ride brunch. When making breakfast potatoes, I prefer to remove the skins and cut them into very small cubes, no bigger than half an inch. 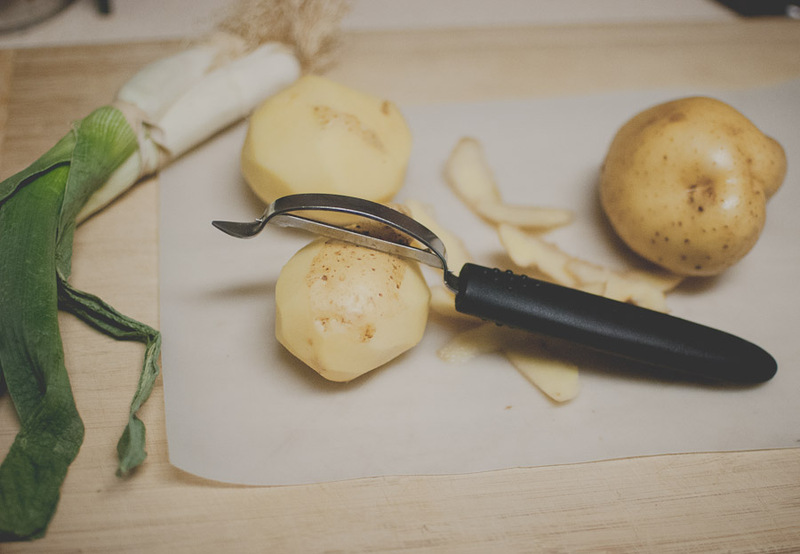 The potatoes cook faster when they are cut smaller and have more surface area, and if you leave the skins on, they tend to stick to the pan when you first start cooking which is annoying. 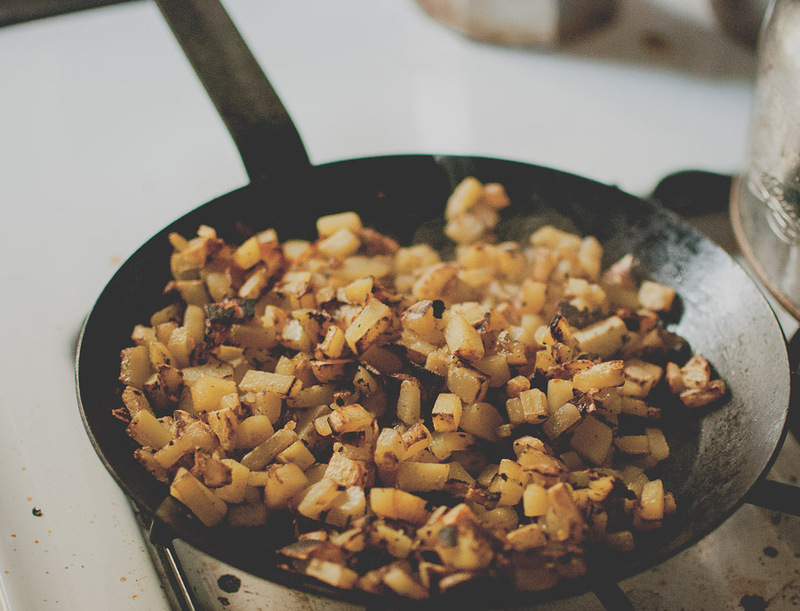 I like to use a cast iron skillet to make breakfast potatoes. Once you add the potatoes to your skillet, let them get a good sear on one side. If you try to stir them too quickly they’ll likely stick to the pan, but if you let them sear for a while, they’ll come away more easily. Flip and then let the other side sear. Eventually you get crispy brown potatoes that come away easily from the pan. 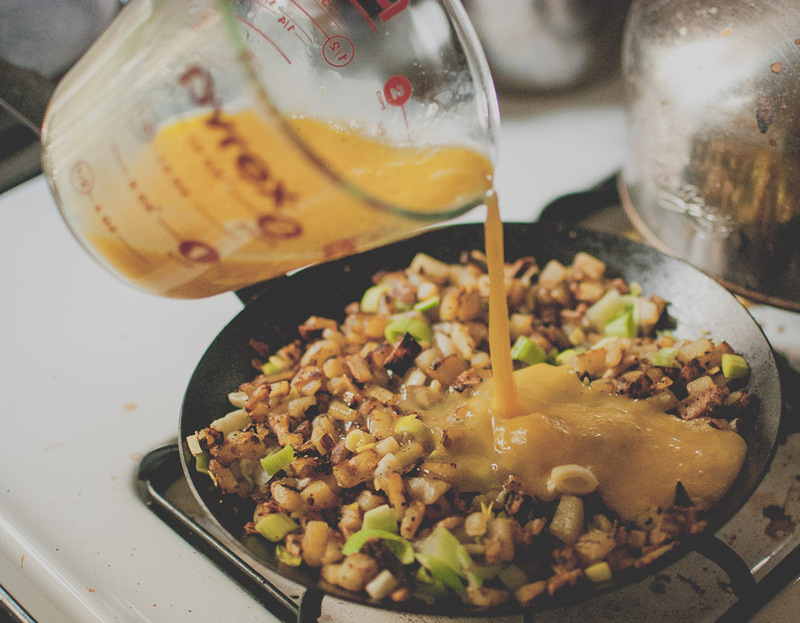 The recipe calls for cheddar. I only had mozzarella, and while that worked just fine, I think goat cheese also would have been nice. I can think of all kinds of additions and substitutions. Caramelized onions. Avocado. Chives. Yum. I’m an early riser and the Mister likes to sleep in on the weekends. I was ready to head out the door before he woke up, so I left his half out on the table. 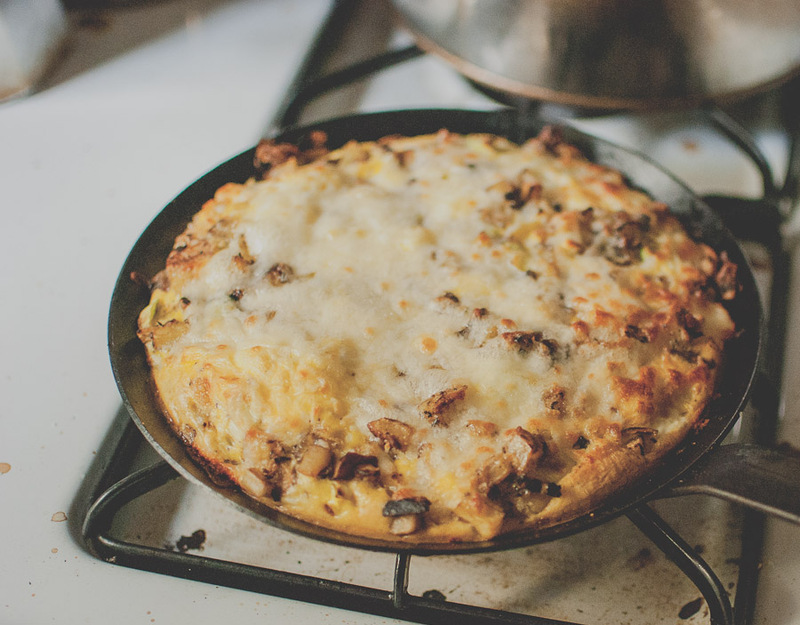 When he finally got up for the day, he just popped his half of the frittata, still in the skillet, back in the oven for 10 minutes and it came out perfect and ready to eat. Great photos, so chic, truly in style. I wish my photos look like yours. The foods you make sound delicious. And the title…fromage…j’adore du fromage! Thank you! Your photos of Istanbul are wonderful. They take me right back!